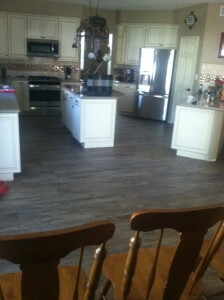 Over the last few years Porcelain wood plank has been gaining popularity. We have been installing more and more of this beautiful porcelain tile. Not only do you get the benefit porcelain tile provides, but you also get the beauty of a wood floor. It is not susceptible to water damage, nor the normal wear and tear natural hardwood floors are exposed to. Have you considered this flooring option? This entry was posted in Uncategorized and tagged Arizona Tile, Murrieta Tile Contractor, Porcelain, porcelain wood plank tile, Temecula Tile Contractor, wood plank tile. Bookmark the permalink. Both comments and trackbacks are currently closed.